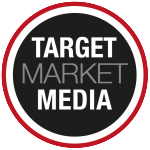 I’m a very skeptical person generally, so when I saw the advertisement from Target Market Media (TMM) in search of publishers, I immediately began researching the company before reaching out to anyone. The opportunity intrigued me because I’m an accomplished editor and publisher, having worked for 15 years in association publishing with a track record that includes building a multimillion-dollar publishing program in books and periodicals. Having recently started my own publishing company, Attorney at Law Magazine seemed like a perfect addition to my overall business plan, which encompasses marketing consulting. Once I was satisfied with my research on the company, I reached out to the district publisher, Bob Friedman, a very nice and accommodating person who is the publisher of the North Carolina edition. Ken is very knowledgeable and offered a litany of experience to a group of people from all walks of life. The opportunity to be a part of the TMM family and create a side business is what brought us to the table. Ken was very honest about his experiences and expectations and clearly stated that the work can be difficult; by the end of the class, we knew what we were getting into. But hard work also tends to reap rewards for those who remain focused; ask any number of the publishers who have been involved for several years, especially those who decided to purchase the franchise, and you’ll realize that the hard work can pay off. For all of his publishers, Ken provides ongoing training and support via group conference calls, Q&A sessions, and myriad emails and articles on how to sharpen your skills in sales and marketing. TMM even provides certain tools to help you build your book of business and keep it all straight. So if you’re looking for a challenging opportunity that promises to knock you way out of your comfort zone, but also promises to benefit you financially in the long-run, this is worth a closer look. You’ll meet lots of good people and make new friends while finding clients. As an attorney and publisher, I enjoy talking to people about their goals and desires for their practices and I know it’s my job to help them realize those goals. Marketing is a necessary part of today’s legal profession, and I provide the vehicles for that purpose while advising professionals on how best to achieve their business objectives.